Check out the list below for some of our adoptable pets! Hello, my name is Bugsy! 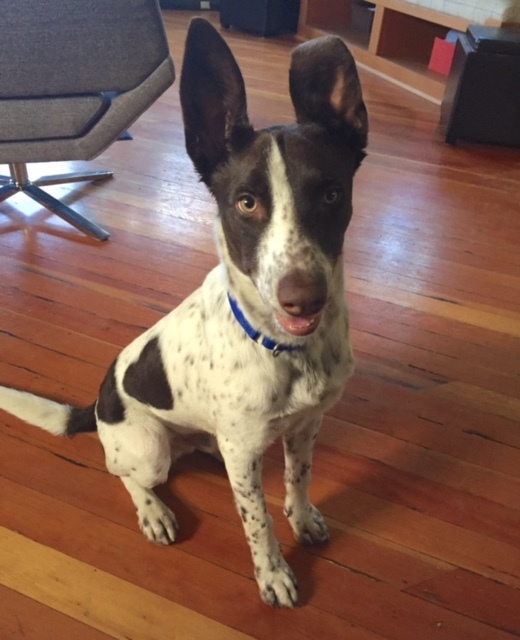 Bugsy is a one year old mix, possibly Pointer/Queensland Heeler/Border Collie. He was rescued from an overcapacity shelter in the central valley. He loves people and other dogs, but is very interested in cats so so might not be safe around cats and other small animals. He is an active boy who will require training, but he is smart and eager to please. He sleeps quietly in his crate overnight, and is currently crated for ~6 hours each day. He loves to fetch, but still learning to return and drop it! He would make a great hiking or running companion!